Can Terra choose between her mate and her adopted daughter? Ember is a bloodling, a werewolf born in lupine rather than in human form. The wolf pup is the perfect blend of rainbows and chaos, bound to bring a smile to everyone's face. But Terra soon begins to wonder whether it's truly in Ember's best interests to raise her adopted daughter as a wolf. As a bloodling himself, her mate Wolfie adamantly opposes the idea of forcing a shift on their charge before her time. But when Wolfie is called away and Ember's sadistic biological father demands his daughter's return, Terra is faced with a difficult decision. By werewolf law, a shifter has come of age and can make her own choices after her first transformation. 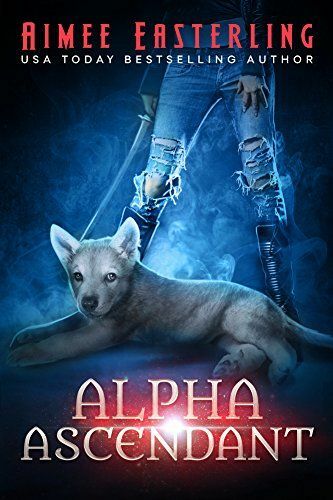 But while forcing Ember's shift prematurely would allow Terra to keep the pup out of the hands of her biological father, the act might drive Wolfie out of both of their lives forever. Alpha Ascendant is the engrossing finale of the Wolf Rampant trilogy that begins with Shiftless and continues with Pack Princess.